Two in one. A guessing game to learn foreign words through images. With this entertaining application you will always have fun developing your creativity and cognitive abilities and you will never be bored! The paid version with voice work by a native speaker. An intellectual, educational and addictive game that helps develop abstract thinking. 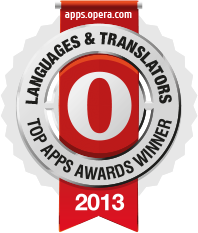 It will help you rest and improve your knowledge of foreign language. It is a follow-up to our “Learn and Play” app. The difference is in new words: nouns and adjectives. 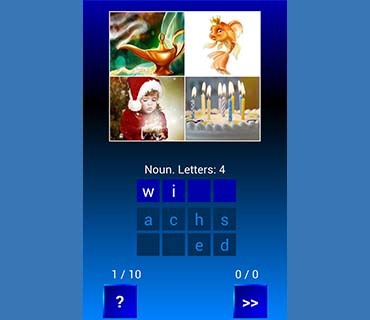 The app is made in the format of a quiz (puzzle) that allows to guess words through similar attributes as well as to learn such languages as English, French, German, Italian, Russian, Spanish, Polish, Ukrainian and Portuguese. 5) when using hints, the bonus for the reply is decreased by 10 points. This logical game helps develop the creative potential. It is very interesting, but you need to be sharp to solve the word riddles. The answer always lies in the associative link with the pictures. The app is useful for children and adults. It helps improve concentration, memory and imagination. If you want to test your skills, start a competition in the company of your friends. 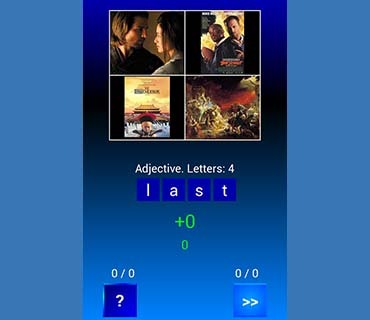 Simple interface, HD tablet support and graphic themed photos allow to concentrate on guessing words as well as learning and training foreign languages. Those learning a foreign language will be able to easily remember words, study them and improve their vocabulary. The game also allows to learn correct pronunciation and spelling through visual and audio support. With this entertaining application you will always have fun developing your creativity and cognitive abilities and you will never be bored!